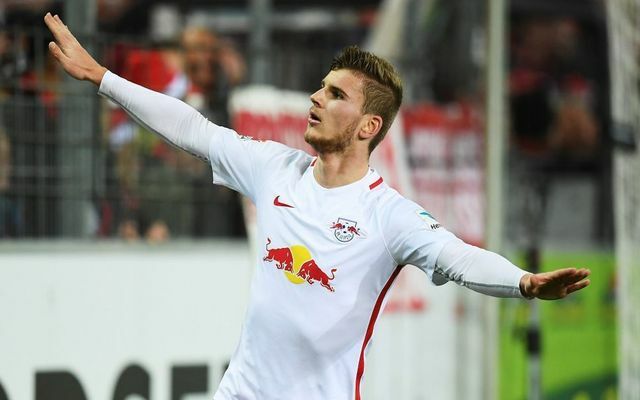 Liverpool are keen on Rb Leipzig striker Timo Werner in the summer, David Lynch of the Standard has confirmed. He’s claimed that while Liverpool will not bring in anyone this month, there will be additions at the end of the season – with a forward a priority. The German international has been named specifically. Werner has 11 goals in 16 Bundesliga appearances this term aged 22. He either plays as a centre-forward or on the left, which would be perfect for Liverpool as Sadio Mane requires high level backup down his flank and Jurgen Klopp loves versatile footballers – as his purchasing of Fabinho, Naby Keita and Xherdan Shaqiri proves. Werner is the perfect age and profile to be a Liverpool target, as he’s yet to reach his peak, possesses serious talent and is playing for a club who will alway sell their best players to a European giant. It’s that model that secured us Mo Salah, Alisson, Mane and Virgil van Dijk in previous windows. Naturally, Liverpool fans were mightily excited to hear the news and reacted with glee on Twitter after Lynch’s claims began to circle. Over the last few days, Timo Werner and Éder Militão have emerged as summer targets for Liverpool. Klopp is keen to bring in a No.10 in the summer with Timo Werner a possibility. Lallana and Matip could also be available for sale as a result of their fitness issues. Alisson, Trent, van Dijk, Gomez, Robertson, Fabinho, Keita, Oxlade-Chamberlain, Mane, Firmino, Salah. Subs – Mignolet, Militao, Lovren, Henderson, Gini, Shaqiri, Werner. Most complete squad in the whole of Europe and we're only two signings away. Madness.